Having left the measly 128Kbps ADSL behind, we now have up to 4Mbps being offered to customers. The price, while still very high for the connection speed, is “reasonable” considering the market size of Mauritius. It’s far from being a good price, but for a small market like ours, it’s decent. However, the major concern now is not price. I’m sure a large number of Mauritians will appreciate a low-cost Internet connection, to “democratize access to the Internet”, as our Government would say. This is a good thing: low cost of connection means more people get access to Internet, which possibly leads to better education and other advantages. Is that enough? Cheap connections? Far from it. If you want to use today’s Internet to its fullest, speed matters much more than cost. True, not for everybody, but for a large majority of users, speed is more important, especially when they can afford it. 4Mbps is poor nowadays. Google just announced its Kansas City fibre rollout, which means that residents of Kansas city now have access to 1Gbps Internet connections, at $70 a month. That’s 250 times faster than our fastest customer-oriented connection. No mistakes there: 250 times faster, priced at Rs. 2173.50. By the way, our 4Mbps is at Rs. 2349, by Orange at the moment. I’m not saying everybody needs a 1Gbps connection. However, most of Europe, the US, Asia, Australia etc have access to at least 20Mbps Internet. That’s still 5x faster than our maximum. It’s high time Mauritian ISPs and perhaps the Government start thinking about investing in higher speed access too, not just “democratizing access” to Internet. ISPs say only “heavy Internet users’ need high speed because they download “a lot”. Bovine output! Everyone can be a heavy user if they’re consuming the right services. Watching HD movies online doesn’t make me a heavy user, it makes me a movie watcher! Why should they do this? Because new services demand it. Unless you want to wait hours and hours to watch a movie online, or download the latest update for your OS, you need a fast connection. One example use where high-speed is required is to use any Cloud-based service. The latter, hailed as the future of computing by vendors, is here to stay. It’s not something new. Perhaps it is for Mauritius, but it is not new. Want an example? Google Docs. That’s a Cloud-based service, albeit one that doesn’t require a fast Internet speed to use. Dropbox on the other hand, requires a fast Internet speed. Same for any other Cloud-based storage service out there, like Google Drive, SkyDrive etc… If you don’t know already, Dropbox is basically an online hard-drive. You rent disk space online, on a yearly basis, and you can store your files in, and access them everywhere, across all your devices. A nice service, but which requires a good connection speed, unless you want to wait for 5 days for your collection of HD pictures straight out of your DSLR uploads. Then 3-4 more days for it to download on your other devices. Yeah, very pleasant. A slow connection makes the service unusable. You think you don’t need Dropbox or other forms of cloud-based storage? Well, you won’t have a choice soon. Microsoft Office 2013 is scheduled to come sometime later this year, or next year, who knows. But it’s going to come out eventually. Guess what’s closely tied to Office 2013? SkyDrive. Microsoft’s Cloud Storage solution. Microsoft basically wants to unify its Office platform, so you create documents on your computer at the office, which you can access over your Microsoft Surface tablet or Windows 8 Phone, whatever. Your documents are stored online, accessible on-the-go. This is just the beginning. I imagine Microsoft will want to integrate SkyDrive tightly in Windows 8 too, possibly to fight off competition like Dropbox or Google Drive with its own offers. Who knows, perhaps with Windows 9, computation being done on Microsoft’s Azure cloud? A future of your whole OS on the cloud? Maybe, but all this requires a good connection. A good connection required now, not in 5 years, not in 10 years. Better yet, Office 2013 is planned to be offered as a service, instead of as downloadable, installable software. While I personally believe there will indeed be installable versions on disk at some point, Microsoft says it won’t be so. That Office 2013 will be available for online download only. How? Through a service known to Microsoft as App-V. In short, you download a virtualized instance of the application off Microsoft’s server after you’ve paid a license for it. As you can guess, this is tightly integrated with SkyDrive: your settings, dictionaries etc are stored there. You can imagine how long it’ll take to “stream” an instance of your favourite Office package after an update, when you have a slow connection. Another sector which is heavily impacted in Mauritius due to our low Internet speeds: online entertainment. Ask any Youtube user in Mauritius, how much they enjoy their viewing experience of HD content. 720p. I’d not go as far as 1080p, which I believe is impossible to view smoothly. Let’s just say, 720p for now. I highly doubt your 128Kbps, 512Kbps or even 1Mbps are sufficient to give a smooth 720p stream. What you need is a high-speed, possibly tens of Megabits to get a decent service. Even with your maximum 4Mbps, 1080p a stream is hardly smooth. Remember, HD content is very much present online, just out of reach of our citizens because of their connection. Other services, while not available in Mauritius yet, would be impossible to use: imagine streaming HD movies off Netflix. That’s possibly 15-20GB download per movie. Over your 1Mbps connection? Good luck waiting. You’d be better off buying it on Bluray. IF you can find the movie to buy, that is. So many other services, out of reach of Mauritians, because of either stupid licensing deals, or simply, because of our slow connections. I don’t know if you’re aware, but recently, online game marketplace, Steam had a Summer Sales. Original, genuine, AAA games being sold for fractions of their original prices. Way to go to destroy game piracy! 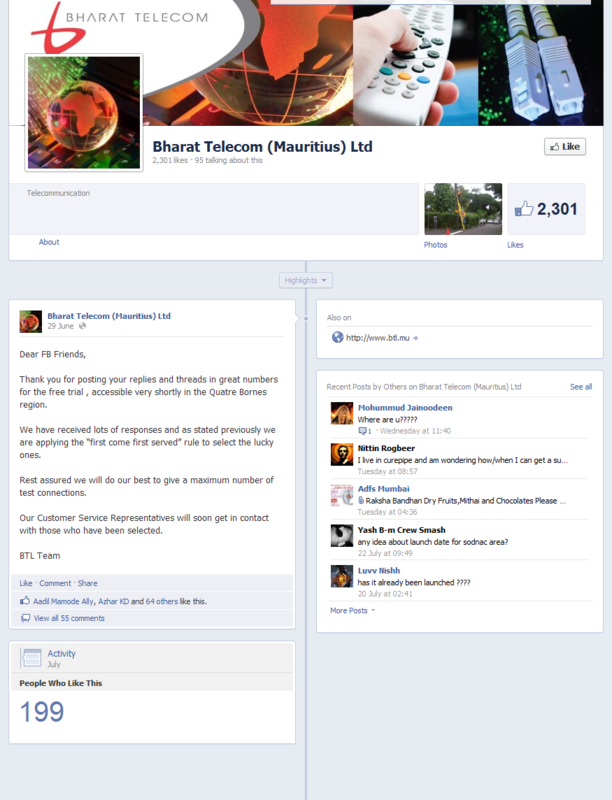 Well, ouch, you can’t really use the service in Mauritius, can you? 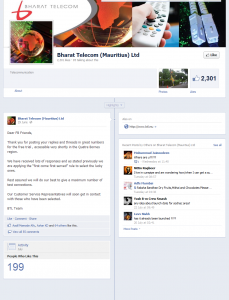 Yes, it is available to Mauritians. Yes, you can buy games using your credit cards. Then what is the problem? You still have to download the games: 7-10GB per download. Unless it’s the rare 15-20 GB download… Large downloads, in other words. While some of us are patient enough to wait the 20-30 hours required to download your newly purchased good, there still remains this rather troubling problem: you cannot play online without annoying your fellow gamers. Because you’d be lagging to no end and destroying the game experience for everyone. Online gaming requires good speeds, especially when you’re playing on international servers. The same happens with your Xbox 360 or PS3 consoles when you play online. Much worse will happen when the next generation consoles hit the market, with integrated entertainment shopping platforms in-built. That was for enjoyment only. One can argue that “fun” and “enjoyment” are not good reasons enough to justify investing large amounts of money in fast connections. If my Office 2013 and cloud storage didn’t influence you enough, what if I mention this word: “teleworking”? What about our soon-to-be-created Mauritian startups, looking to offer services online? Perhaps a freelance graphic designer in Mauritius looking to work online, for a big company? Can it be done on slow connections? Don’t know. Depends on your patience, I believe. Or at least, your boss’ patience. I’m not elaborating on this further, because there’s a major hurdle involved in this, that is not related to connection speeds: how to accept payments? I’ll leave this for another post, I think. There you have it, reader. You are paying large amounts of money, for a connection that will soon not be worth much online, assuming it’s worth something now. You are unable to use useful services because you have low speeds. Your experience online is marred by lags, slow-loading pages and shouts of frustration because the progress bar in the “download” field seems to have stopped. While there is hope that Bharat Telecoms Ltd, BTL, will provide fast connections through fibre-to-the-home, most of us are still waiting. I’ve seen a few reports and speed-test screenshots from BTL users. They seem happy. I’ll reserve my judgement when I get to actually test that FTTH connection myself, without caps. Their Facebook page is virtually dead, with no updated news. The newspapers are no longer talking about them. Are they dead? What are they doing? Has anybody actually tested this fabled FTTH connection at their home yet? If you have, drop a comment below with a review! Otherwise, the shining-new LTE networks from Emtel and Orange? Considering how tight the data caps put on mobile data networks are, I’m not hoping for much from these. At least, not for heavy users. There you have it. You’re being denied access to the highway because your vehicle only does 40 Km/h, while you’re renting that vehicle for the price of a luxury car. I only wish that Mauritian ISPs will wake up soon, and start thinking about how to give their customers speed, without annoying caps, hopefully. I still wish to download my legally-purchased games, movies etc whenever I want, without having to worry that my ISP won’t like the amount of content I consume. It’s time to do the upgrade now, not when your network is dying of overload in 5 years. Also, BTL, wake up! We want to know what you’re up to. It’s 2012. Twitter and Facebook exist. You’re an ISP! You’re supposed to have an active online presence and generating enormous hype, not a dead Facebook page! It’s not the ISP. It’s Mauritius. An island lost in the middle of the ocean… We need new undersea cables for faster Internet. But the governments have been so short-sighted to overlook this prerequisite in their quest to build the CyberTower Island. It’s a shame really that we cannot use most of the cloud services in Mauritius. The sad part is that cloud is being pushed hard, and Mauritius is not able to take part in it, even if you wanted to. I doubt it’ll be choice soon, not with the unification of mobile / desktop / living room platforms. The lack of progress information is a bad sign. After all the euphoria resulting from government and ISP promises we are now in limbo. Cyber island still needs to become a reality! ~we’re still in the “copper-wire age” here, its like the metal age..and it sounds hopeless with nothing on the horizon! Its been horrible to pay this much for this POOR quality internet..and you talk of 720p thats too far, i have to stream 240p on youtube with 1Mb myT. hello dude just to inform you barat telecom is short on capital and is trying to raise money. The problem with quatre bornes is that they have only two teams to deploy their network and lay the wires. i have been working with them for the past months and delays maybe in excess of 1 year and that is just for quatre bornes the rest of the island is a long shot away. Again the 2mbps connection wont be unlimited and capped. The max connection will be 10mbps and that too wont be cheap.The problem seems to come from higher management they dont have the manpower for such a large scale project . Very good article, well documented. But I reiterate the fact that it is unacceptable that Mauritius and Reunion, being on the same undersea cable SAFE have so much differences in connection speeds. Most of the liveboxes have a 20MB mega maximum. Just look at the Net Index by Ookla http://www.netindex.com/download/allcountries/ and compare the mean connection speed between Mauritius, Reunion , Seychelles and Madagascar. We are the lowest!!! They say that 1.75mbps connection is faster than 78% of the population. Each time I queried Mauritius Telecom about this they told that Mauritius and Reunion can’t be compared as Reunion is a french department. This is BS, being a french department has nothing to do with the SAFE cable usage. Of course the french government subsidies the customer bandwidth for what they call “Continuité Territoriale”. But exactly as Mauritius negociated the sugar price decades ago, Mauritius has to also negociate the bandwidth price… and 4mbps is becoming too slow(and too expensive) for most internet applications. I have a 2MB connection at home. Youtube really stucks most of the time. I have to reload… it seems that the video is first downloaded to a local google server, and then it arrives home. So mostly viewed videos appear to be showed fast, whereas other videos load really slow. The main problem that we have is that the government has allocated too much bandwidth to BPO/s telling that this is the cyber island. Its only french expats with their BPO firms who are enjoying high speed connectivity, also heard that MT has launched gigabit internet connections in ebene(gigabit speed is only for local intercompany/department speed).. . They invest a lot for corporate, but nothing for the mass population. MYT 4mb+livebox2+deezer is Rs2649. That’s almost 65euros per month. With 65euros, in Reunion, Mada, or seychelles you get the maximum speed! !